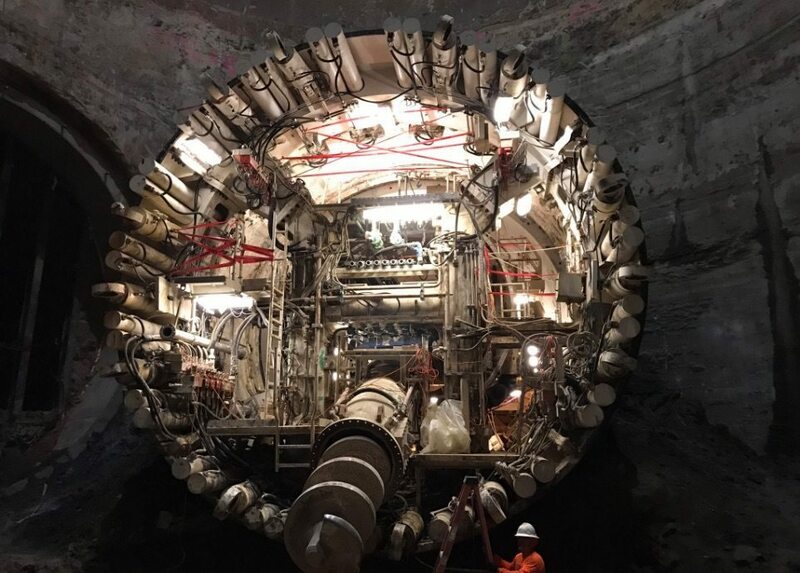 Elon Musk has proposed the LA tunnel project, which he believes is just the infrastructure the city needs to alleviate traffic woes. Elon Musk wants to build a tunnel through Los Angeles, and we assume it’s because the traffic is so bad. Yet, before he transforms SoCal into a Blade Runner-esque megalopolis, let’s go over the ins and outs of his new endeavor. Elon Musk of Tesla, SpaceX, and the 21st most powerful person on the planet has new ambitions that go even further than commercializing space travel. Musk is hoping to transform LA, this time by looking earthward, with a massive underground tunnel structure that is intended to ease the more-than-annoying traffic congestion that plagues the city. It is for this familiar annoyance that Musk tweeted about his frustration. Yet, unlike most residents of LA, Musk actually has the perfect combination of audacity and money to turn his tunnel dreams into a reality. He has already begun boring an experimental trench underneath the SpaceX headquarters in Hawthorne. The boring experiment is “30 feet wide, 50 feet long, and 15 feet deep,” and is helping the entrepreneur learn, it seems, how tunnels work, and how to build them faster. The LA tunnel might get built with sheer celebrity power. Yet, we think that’s not necessarily the best idea. Most people agree that the traffic in Los Angeles can be really bad. Elon Musk uses dimensional logic to explain why the LA tunnel is the solution to the city’s problem. We live in a three-dimensional world, he explains, but we are using two-dimensional transportation methods to get from place to place. This is what causes congestion. Instead of driving on top of roads we can drive through spaces for an easier commute. His theory seems to draw upon thermodynamics as an example of how traffic works in LA. By decreasing the entropy from point A to point B, the tunnel could help alleviate traffic. Musk is not trying to build regular tunnels, but rather transform the ways that we get to places so that we exist in a version of Minority Report. This all sounds great in theory, and honestly, I hope that all of Musk’s digging eventually leads us to a hyperloop train of sorts. However, even if it were possible (it probably isn’t possible), a new, expensive, city-wide tunnel system might not be the best solution for L.A. traffic. We wonder if we really need more roads–even if they are three-dimensional like the proposed LA tunnel. It might be better to find more ways to incentivize carpooling and public transportation. There is a reason why sitting in traffic for hours is somehow a better option than public transportation for many people, and the lack of available alternatives is one of the main factors in cities like Los Angeles. Besides the roads and the amount of space that they allow for drivers, it is also important to think about the number of cars in the area, the vast area of the city, and the sheer lack of public transit in LA which often forces people to drive. If you’ve ever sat for hours in freeway traffic in LA, you begin to notice how almost every car usually has just one person in it. And the HOV lanes, which are reserved for vehicles with at least two passengers, pretty much always flow, it seems. Of course, getting people to give up their cars once they are used to them is almost impossible. This is despite common complaints about the traffic, which is another contributing factor to the problem. However, public transit is really the key, as our resident City Planner Emil Seidel noted in his piece about self-driving cars. Personal responsibility and a willingness to use public transit must be part of the solution, which is hard to ingrain into people who are used to their routines and who are not getting outside support from their city and public transit authorities. This really is a joint effort, yet in many cities, the ways that people commute are beginning to take a turn towards public transit. In Northern California, their first autonomous shuttle bus is already in operation. The developer is hoping that their new initiative will expand and therefore contribute to clean air and traffic initiatives in the area. The tunnel solution only addresses a fraction of the problem–and at enormous costs. Furthermore, the whole idea doesn’t seem very viable for city that is, topographically speaking, a giant sink hole. Building the LA tunnel in sandy, rocky soil is difficult, even for engineers. And then, we have the inevitability of earthquakes! I, for one, wouldn’t want to be stuck in tunnel traffic when the big one hits. I know it seems like we’ve been preparing for the “Big One” forever, and attempts at predicting it have gone and come like countless cult Raptures (looking at you, Alex Collier). But when the big one doesn’t come, that means it’s definitely coming sooner than you think. Not to add to the doom and gloom of it all, but this is definitely a concern for such a densely populated area. Los Angeles, the worst traffic in the nation. See all the cars outside of the very left lane? There’s only one person in each of those gaz guzzlers. Nobody deserves to have the ground they’re standing on liquefied beneath their feet, but think of all of the tech we would lose if we built a gigantic infrastructural tunnel system next to a fault line. The labor market is already abuzz with accusations that big tech companies are eating up all of the highly qualified talent. We know this is a stretch, but in the case of a natural disaster, how big of a risk do we run of losing some of the most brilliant, innovative and productive people on Earth? What companies would be in danger and what are they doing about it? A lot. And LA is directly at risk. There are thousands of tech-related business in So Cal alone, including data centers. Seismic activity in Southern California could conceivably have consequences in Northern California, including Silicon Valley. There are twelve volcanoes in the San Francisco Volcanic Field, though many of them have not been active for millions of years. But it is true, however, that people in silicon valley have a shrewd eye for the end of the world, which is perhaps because of their proximity to potential major natural disaster zones. If the 3D LA tunnel comes to fruition, it would not the the first ill-advised infrastructural development of the century. Istanbul’s underwater tunnel, which connects European and Asian parts of the city, is built near a fault line, and was the cause of a lot of fear and controversy from residents of the city. The innovation is amazing, and it’s truly a feat, though many are still cautious about the safety of the project. The thing about these kinds of huge projects is that, yes, usually, in the end, they are very impressive. What hasn’t been done before, and is a necessary development in industry 4.0, is a thorough update the way that we use transportation. I think that instead of rethinking the dimensions that we move through in our cars, it might be useful to first change our go-to methods of transportation.